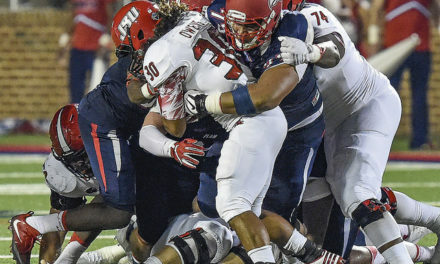 Immediately after Turner Gill made his announcement to the staff and team Monday afternoon that he was retiring, Liberty Athletic Director Ian McCaw and his staff began a national search to find the next head football coach at Liberty. With the new December signing period that begins on the 19th, McCaw says it is even more paramount to bring this search to a swift closure. His goal is to have an announcement for a new coach by the end of next week or the middle of December. Leading the search will be McCaw, Todd Patulski, Mickey Guridy, and a search firm. Head coaching experienced is preferred to McCaw because there is a track record as to how that coach will perform, but it is not required that Liberty’s next head coach has previous head coaching experience. Someone with FBS experience is important and something that the search team will place a high value on. There are a number of candidates that this team is currently evaluating, but the interview process has not begun yet. 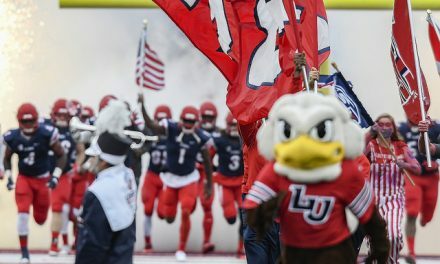 After Coach Gill praised his coaching staff and stated he felt there was someone currently on staff who would be an effective head coach, McCaw said Liberty will consider both internal and external candidates. Ever since he has been hired, there has been speculation that former Baylor head coach Art Briles would join McCaw at Liberty. McCaw said it’s not important that he be familiar with a coach in order for them to be hired. 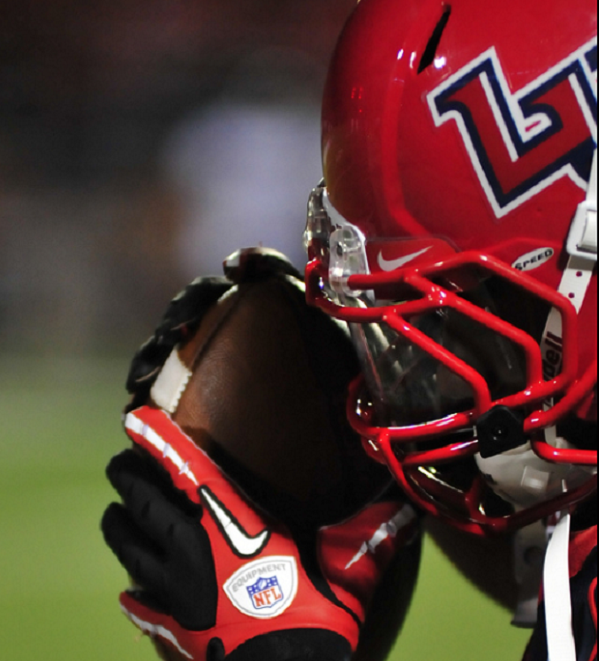 Obviously, this will be the first time Liberty has ever conducted a coaching search as an FBS member. 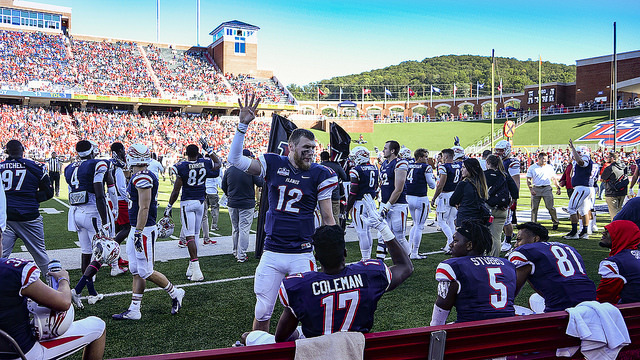 Williams Stadium has seen an expansion to 25,000 seats, there’s a new indoor practice facility, and there are plans to expand the current football operations center, all of which has happened since Gill arrived on the scene in 2012. Speaking less than 24 hours after Gill’s retirement became public, McCaw stated he has already fielded a couple of phone calls with potential candidates.